At Dreamers Lounge, we ordered Mickey Mouse and Pluto Dessert Medley besides Afternoon Tea set. 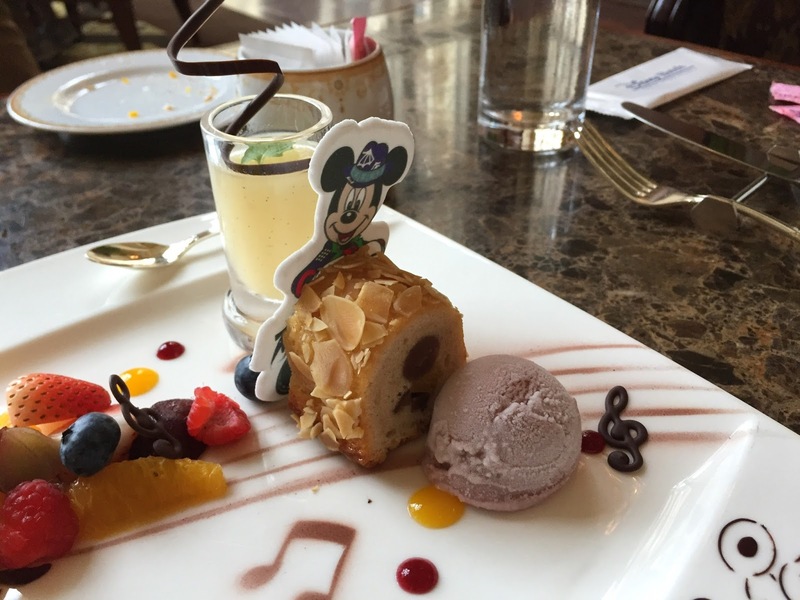 Next to pumpkin mousse with ghost print, there're fresh fruits. 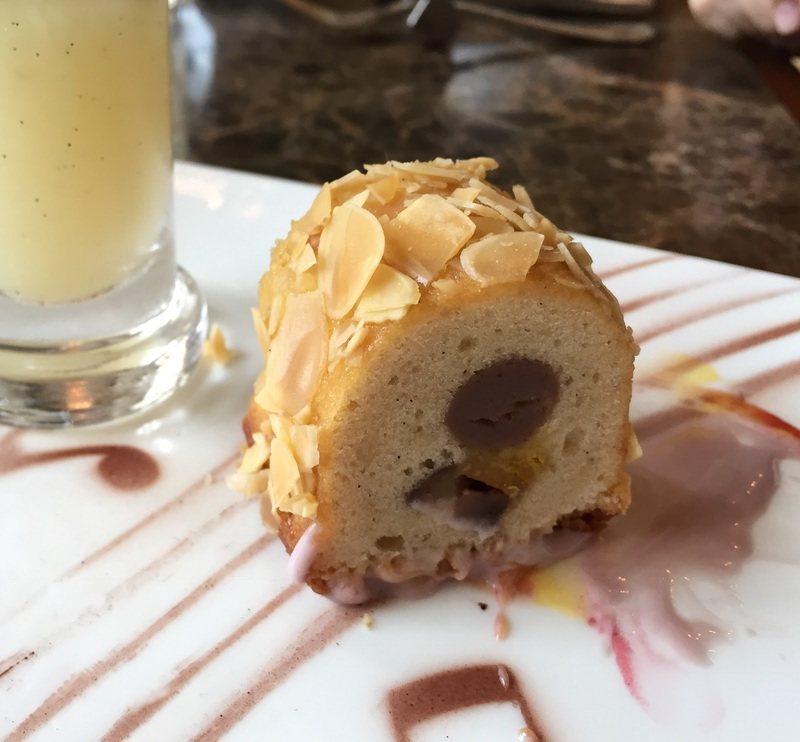 Inside of the smooth pumpkin mousse, there's raspberry puree and though the amount was little, the sauce was so intense that the pumpkin flavor was weakened. Chestnut pound cake and purple sweet potato ice cream. Purple sweet potato ice cream didn't have much flavor. Mickey in a Halloween costume and it's made of sugar. Chestnut pound cake was moist and sweet, and the surface was coated with sliced almonds. Pear jelly wasn't firm or jellied and it's basically a pear puree. There're many ghost prints on the plate. 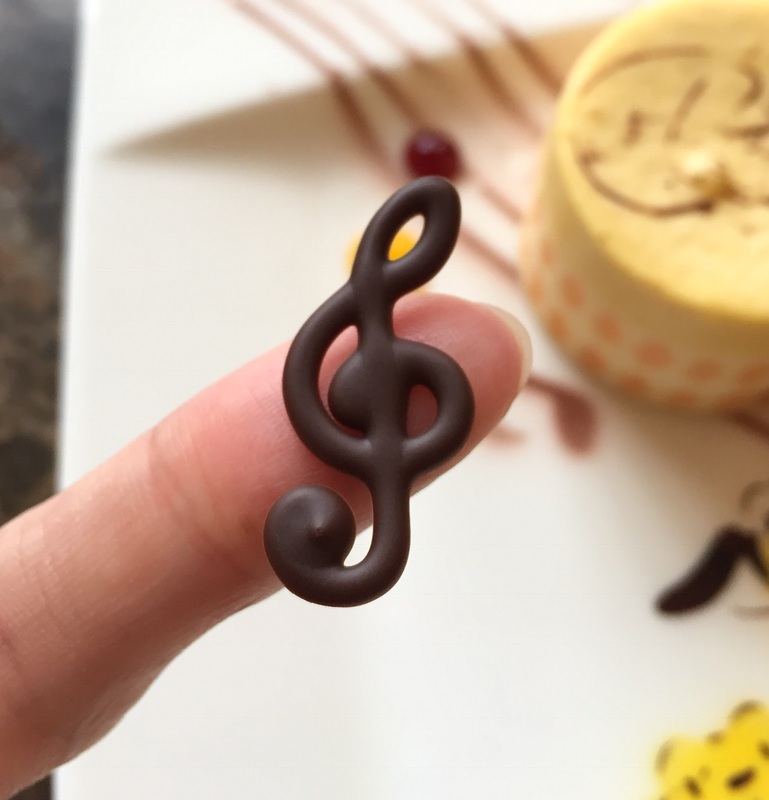 The G clef was chocolate. The plate was decorated with edible materials so that when I scraped them off with a fork, the plate looked like this.